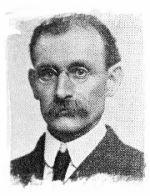 Cool Facts – Reeders A/C & Heating, Inc.
David Lennox (April 15, 1855 – February 15, 1947) was an American inventor and businessman. A furnace manufacturing business he founded in 1895 in Marshalltown, Iowa evolved into what is today known as Lennox International, a global corporation specializing in air conditioning, heating, and commercial refrigeration. Lennox helped to develop what has been described as the first riveted-steel furnace in 1895. His contributions to furnace design have been described as significant steps forward in durability and efficiency from the cast iron furnaces commonly in use near the end of the 19th century. MYTH: It’s more efficient to leave the air conditioner running at a minimal level during the day than to shut it off and have to re-cool the house again lager. FACT: The less you use the AC, the less electricity you use. When the AC is running regardless of the level, you are paying for it, when it is off, you’re not. Keep your windows closed while the AC is off as to not let in additional humidity, a well insulated home should only drop a few degrees throughout the day while you’re not home. MYTH: Opening the registers in all rooms and leaving the interior doors open will circulate cold air throughout the house more efficiently. FACT: Closing doors, vents and duct work to unused rooms makes better and more efficient use of an air conditioner. Cold air goes where the heat is. If there is a hot unused room, the air conditioner will work to cool it off. By closing that room off to the rest of the house (by register or even more closing the duct work leading to that room), your home will stay cooler more efficiently. MYTH: To cool off a house faster, you should crank the thermostat 5-7 degrees cooler than the desired temperature until the home cools off. FACT: Lowering the temperature on the thermostat does not make the air conditioner work any faster when cooling off your home. An air conditioner extracts the hot air in a home and replaces it with cold. An air conditioner only replaces a given amount of hot air with cold in a particular time frame. conditioner was made by Dr. John Gorrie (1803-1855), an American physician, in Apalachicola, Florida. During his practice there in the 1830s, Dr. Gorrie creating an ice-making machine that essentially blew air over a bucket of ice for cooling hospital rooms of patients suffering from malaria and yellow fever. In 1881, when President James Garfield was dying, naval engineers constructed a box-like structure containing cloths saturated with melted ice water, where a fan blew hot air overhead. This contraption was able to lower a room by 20 degrees Fahrenheit but consumed half a million pounds of ice in two months’ time. 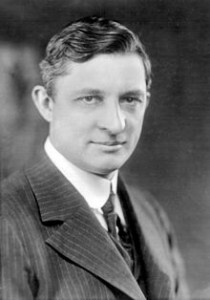 A close ancestor to the modern air conditioner units was first made in 1902 by an American engineer by the name of Willis Carrier. The machine at that time was called “Apparatus for Treating Air” and was built for the Sackett-Wilhelms Lithographing and Publishing Co. in Brooklyn, New York. Chilled coils were used in the machine to cool air and lower humidity to 55%, although the apparatus was made with enough precision that the humidity level desired was adjustable. After the invention by Carrier, air conditioners began to bloom. They first hit the industrial buildings such as printing plants, textile mills, pharmaceutical manufacturers, and a few hospitals. The first air-conditioned home was that of Charles Gates, son of gambler John “Bet a Million” Gates, in Minneapolis in 1914. However, during the first wave of their installation, Carrier’s air conditioner units were large, expensive, and dangerous due to the toxic ammonia that was used as coolant. In 1922, Carrier had two breakthroughs – he replaced the ammonia with the benign coolant dielene and added a central compressor to reduce the size of the unit. The next advance was when Carrier sold his invention to movie-theater operators, with a notable debut in 1925 at the Rivoli on Broadway in New York City. In a short amount of time, air conditioners were installed in office buildings, department stores and railroad cars. The United States House of Representatives had air conditioners installed in 1928, with the Senate, White House and Supreme Court following suit in the years after. After World War II, window units air conditioners appeared, with sales escalating from 74,000 in 1948 to 1,045,000 in 1953. Today, air conditioners have been said to be a partial cause for the changes in the South, and for most of us who have experienced its cooling benefits in times of searing heat waves, it is an invention that is hard to live without. Source: Jones Jr., Malcolm. “Air Conditioning”. Newsweek. Winter 1997 v130 n24-A p42(2). 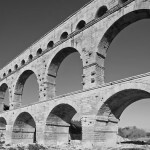 The concept of air conditioning is known to have been applied in Ancient Rome, where aqueduct water was circulated through the walls of certain houses to cool them. Similar techniques in medieval Persia involved the use of cisterns and wind towers to cool buildings during the hot season.